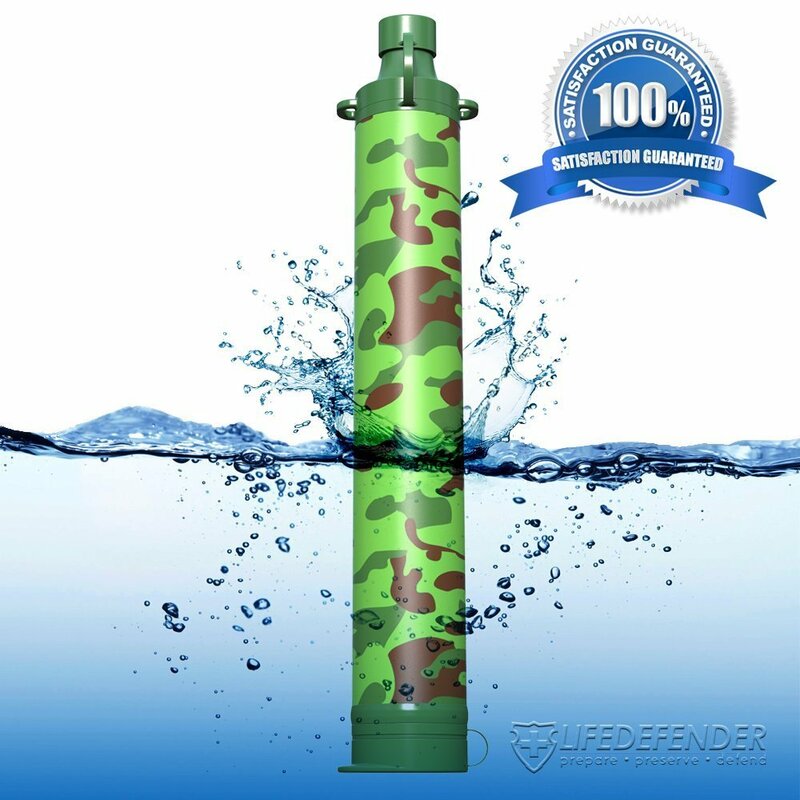 I just found this really great personal water filter from Life Defender. We are always outdoors in the summer time, we love to camp and hike. However, as a seasoned camper/hiker I know that you never know when something might happen so it is so important to be prepared for the worst. I got this personal water filter to put in my backpack and I take this with me every time I go camping or hiking. It’s really easy to use. Simply open the bottom and top. You can then get water from a lake or river or any source really. Pump a couple of times to get the water flowing, but it will travel up through the carbon filter and come out at the top completely purified and suitable for drinking. This is also great for disasters, so we keep on in our basement and in the car. You never know these days when something might happen so it’s nice to have a way to get clean water if you need it. It comes with a convenient string attached so you can easily carry it or attach it to your backpack or belt loop.